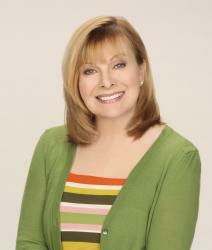 Former talk show host Jenny Jones has created the Jenny Jones Heroes Project. Her project awards grants of up to $25,000 to individuals who submit the best ideas for tangible, lasting community projects. Recipients are chosen for their potential for significant long term benefits. Find out what you need to know to be a hero in your community from Jenny Jones in this exclusive LoveToKnow Charity interview. What was your inspiration for Jenny's Heroes? After the talk show ended, I still wanted to communicate with my fans and did so on my website jennyjones.com. I decided that I was going to hold a contest and first was going to give away something small such as a gift card. The idea grew into much more and I created Jenny's Heroes to fulfill my dream of giving something to those who want to make a difference in their community. What makes you choose a certain applicant as a hero? I review all applications personally. I want to make sure I know exactly where the money is going and how it will be spent. I want to make sure it is given to the right person to make a difference. When applying for Jenny's Heroes, be specific on what project you have in mind. Have a concrete plan and go into as much detail as possible. I want to see what you exactly have planned. What are you looking for when reviewing applications? I trust my gut instinct when reviewing applications. I read the applications and base my decision on what was written. I look at long term effects of the project and see how many will be helped and the long term impact of the project. Are you ever planning on going back on TV? I miss the communication I had with the show but have no plans going back on TV as a job. There is no time since I devote all my time to Jenny's Heroes. Do you follow up with past heroes to see if their idea has made a difference in their community? Yes, I have personal contact with each hero. I receive daily emails and photos from the heroes. I have even visited heroes personally. I recently went to Vegas and met with a teacher. I want to meet the children and those that have benefited from the program. I try to form a relationship with everybody. Has there been one hero who stands out to you the most? All of our heroes are special. There are several that stand out to me. Travis Wiersma, our first hero, is a janitor from Sun Prairie, Wisconsin. His wish was to help over a thousand nursing assistants and nurses in training at Madison Area Technical College in Wisconsin. The school received $25,000 worth of new state-of-the-art training equipment. Over 250 registered nurses and over 1,000 nursing assistants graduate every year from the school so Travis's wish will help a great number of graduates, and since the equipment will be in use for several years to come, his wish will ultimately help thousands of nurses and nursing assistants as they head into the workforce to care for their patients. John McBride is a teacher at Crane Middle School in Yuma, Arizona. He used his own money to start a competitive biking program that gives at-risk kids an alternative to gangs and a reason to stay in school. He requested $20,000 for new pro racing bikes and equipment to allow even more kids to join the team, train, and compete in regional races and then hopefully, on to National Junior's competition. What are your future plans for the Jenny Jones Heroes Project? I plan on continuing the project for as long as I can and as long as the economy permits me to do so. Not all grant requests are for the full amount of money. Is there any advice you could someone who is looking to make a difference in their community? You can make a difference without having to give money. Volunteering your time is a great way to give back to your community. Jenny Jones is giving away another $1 million this year. She continues to look for individuals wanting to make a difference in their community. LoveToKnow Charity would like to thank Jenny Jones for sharing her ideas and thoughts. We wish her and the Jenny Jones Heroes Project continued success.